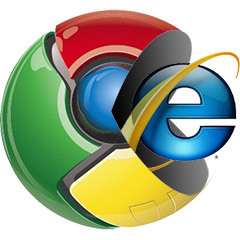 An IE user installing Chrome Frame will download a small 500KB plug-in. The plug-in will download a further 10MB of Chrome code in the background. IE will appear to be untouched. The interface does not change and Microsoft’s Trident engine is still used by default.